32 Responses to Africa’s New Kids Cartoon Show! Yay! So cool that you’ve launched. Subscribed or not Karyn, you are part of the Bino and Fino family! Actually, I don’t know if I’m subscribed to you either! I just find your blog by clicking on your comments on our posts! lol I’ll double check to make sure I’ve subbed you. I saw your cartoon for the first time on Vox Africa today. Well done! It is wonderful! I will add it to my literacy website as an educational resource. Many thanks for your support. I also saw you joined on Facebook. I’m just going through your reading resource website at the moment. It’s a great resource. I will definitely post it up on our Facebook page. Yes we are really lacking decent educational, fun cartoons for kids that are African made. Or having books and other things that link to that cartoon. I know this has a negative effect on African kids and non african kids. I caught the interview with Adamu Waziri on VOX Africa this morning (25/04/11, this is truly inspirational and wish you guys the best best of luck with your project(s). I hope everything works well for you guys and that you overcome your operational challenges. The one advice I give is that you work extremely hard on building strong alliances and having a clearly defines and articulated business plan/strategy. Thank you very much. As you have said, we do have a lot of challenges but we are doing our best to face them. We are following you advice because those partnerships will play a significant part in if we succeed. This video put a huge smile on my face. I agree with your comments about people of color producing our own cartoons with the talent and resources we have now. The internet has helped to level the playing field somewhat and there are new ways to get your content out there. I like the character designs especially the little details like the way Fino’s afro puffs bounce when she moves her head as well as the way the edges of her afro puffs seem to move as well in close up shots. Someday like Nkrumah envisioned Africa will be united and I think it’s efforts like yours that will play a part in that. Many thanks for the comments. I’m glad you like the design direction for Bino and Fino, especially Fino’d afro puffs. We are agreed on the fact that there are now new ways of reaching the audience. The same challenge of engaging and galvanising the audience is still there. Especially if we have been used to receiving our media from older more established sources. Very nice children’s cartoon! I love the accent too, very pleasant to watch and listen. Keep up the good work! Peace! Thanks for stopping by and for the comments DeMarco. Hi Judy. Apologies for the late reply. It’s good to hear from you. I can’t take all the credit. There’s a small team and a wider bunch of fans helping us along the way. Comments like yours always spur us on. We don’t have an outlet in Kenya yet though 🙂 for you to get a copy for your nieces and nephews! As a Kenyan film maker you’ll know how hard it is to distribute things legally.But if you have friends in the U.S. U.K. or Europe you can get copies of the DVD from our website http://www.binoandfino.com . All the best. WELL DONE!!! LIKE WHAT UR DOING! Is this going to be on local TV soon? Many thanks. We are working on it. It’s looking like it might be on TV in the U.K. first. But we’ll keep you updated. You can also subscribe to the blog or to our newsletter via the website http://www.binoandfino.com to get the latest. Take care. Apologies for taking so long to reply. Our blog isn’t extremely popular compared to the big boys and girls. I’d say the key to building it up is a mixture of having interesting things people want to know about and consistency. But there’s lot’s of research out there on how to get a successful blog . Well am amazed and inspired too. I have always hard a passion for creating cartoons but thought it was impossible but now am focused than before and look forward to sharing my creations with you in the future. That’s great to hear. I wish you all the best with your future creations. Excellent showing at today’s film festival in Saint Louis. The kids loved it. My 5 year old told me was making soup 3 hours later and he had a surprise ingredient! Lol! I hope the surprise ingredient wasn’t too crazy! Congrats on the success of the film festival. Hi guys, first I would like to thank you for the wonderful effort you’ve been making in trying to bring an educational animation programme to our kids in diaspora, thank you so much for that. I very much appreciate the fact that this is a new territory for you guys, but I would like you to put more effort into making sure that the vocal aspect of the programme is spot on I.e using kid’s voice when one of the kids is talking, and a female adult voice when the mum is talking and a male adult voice when the dad is talking. As saif I do understand the huge challenges that comes with achieving these goals, but I also think that what is worth doing is worth doing well. Thank you for your comments and constructive critique. There are different styles one can use for the voicing such as narrator only or the one you suggested. Recent Bino and Fino episodes have already adopted a style using several voices. I’m glad you understand the challenges associated with a production of this type in Nigeria. Trust me when I say we are our own hardest critics. We are never satisfied with the work we do and intend to keep pushing the quality levels the best we can with the resources available to us. 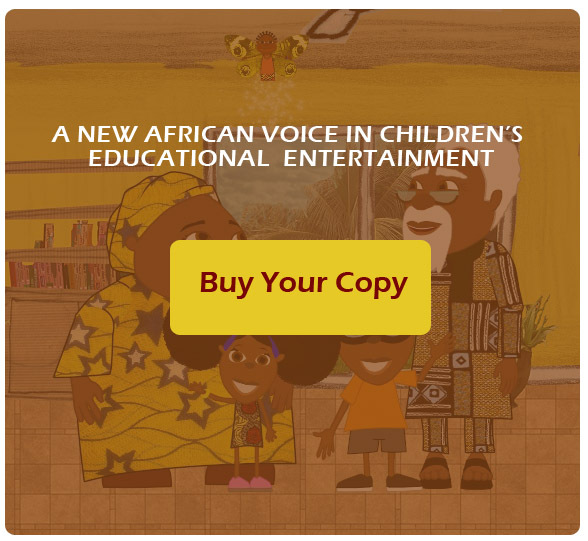 The aim is to produce high quality Nigerian children’s educational content for the local and international audience. All the best. I just saw your first episode and it was wonderful!!! Congrats! I truly hope the show garners more success for the years to come. I was wondering if there is an email address you can be reached at? I’m interested in discussing with you about the possibility of collaborating on a special Nigerian animation project that is near and dear to me. Feel free to email me directly if you like. All the best! Thanks for the comments and for stopping by. Feel free to send us an email at info ‘at’ evcl.tv regarding the animation project. Keep in mind we are quite focused on the Bino and Fino project right now. All the best. I’m so happy Bino and Fino have now launched and are on DVD.I’ve known about you for a while happy you are moving slowly for the business.Great Show. Hello Kesensa. Thank you very much for the good wishes. The 1st DVD of the pilot episodes has been out on sale for a while now. What we are now doing is producing a whole season of 26 episodes of the show. Which is an interesting challenge!Have a great week. Thank you very much Afroninas! Thank you very much for getting in touch. I’m glad you like the cartoon. We will get in touch.All the best. I recently purchased the first volume of “BinoandFino.” The African kids here love it. Still, I was a bit disappointed that the DVD had only 3 episodes. On the other hand, my heart was filled with joy when I read the comments (about the 26 new episodes) you made above. More grease to your elbows, brethren! Apologies for the late reply and thank you for getting in touch. I rarely use this blog anymore. We tend to use facebook, twitter and the Bino and Fino website blog nowadays. We are still in production of the 26 episodes. Unfortunately animation production is a long process but we aim to finish later this year. I can’t give you a release date yet because it depends on so many factors this time around. Mainly because we want to get the show on selected TV stations around the world prior to releasing the new DVDs. I’m sorry I can’t be of more help but we are still planning things. But if you find ‘Bino and Fino’ on facebook or subscribe to the show’s newsletter via the website binoandfino.com we’ll be able to keep you up to date. Where are you based?